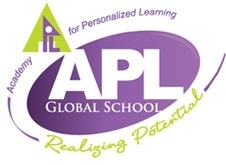 Academy for Personalized Learning’- APL Global School’s pedagogy and assessment strategies are designed to address individual needs in a group context. Affiliation from Cambridge International Examinations (CIE) helps support the personalised learning model and work towards an effective educational model. With access to the excellent teaching resources, APL Global School prepares students for the Primary Progression Tests, Checkpoint, IGCSE and A level examinations. The diverse array of CIE subject offerings available at APL at different levels—Core, Extended and in some subjects, course work – as well as the availability of practical, work-based subjects match our school’s Vision and pedagogy. Procedure: Admissions are open for class PreKG from Nov 19, 2018 for the academic year 2019-20. 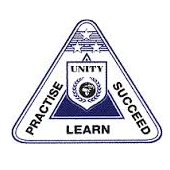 Higher Class Procedure: If there is vacancy, then the school might issue registration forms. Contact the school directly. Admissions are open for class PreKG from Nov 19, 2018 for the academic year 2019-20. Registration for the academic year 2017-18 is going on. The school will later intimate the registered parents regarding the application form issue date. Admissions for Nursery will be open from third week of Oct , 2016 for Vijayadashmi for the next academic year 2017-18. School application form available through out the year through school website.